It is often seen as the most aesthetically pleasing part of a distillery tour. After the malt mill, the kiln (if you’re lucky), the mash tun and the wash-backs, it is finally time to enter the heart and soul of a Scottish whisky distillery: the still house. 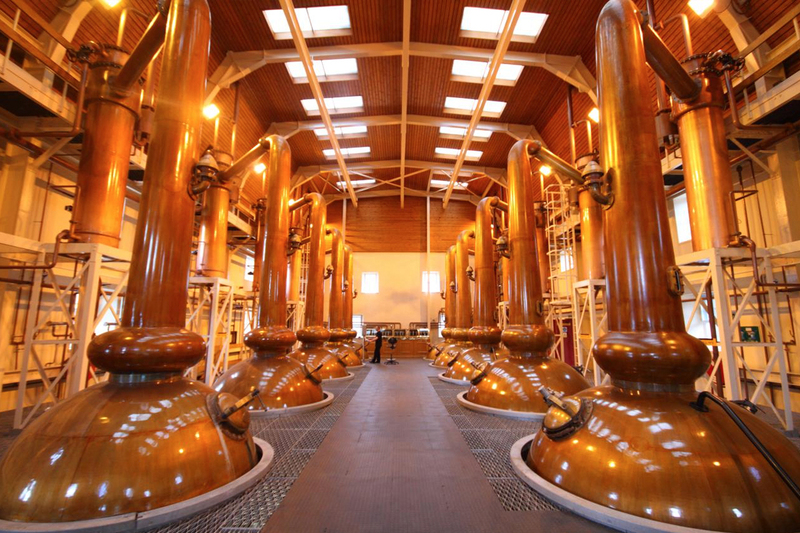 It makes for a majestic sight indeed, most importantly because of the imposing, shiny copper pot stills. It’s where the magic happens. Where a low-proof wash transforms into a high-alcohol new make. Now, only cask maturation stands between you and a taste of the delicious water of life. There is a rough standard for the shape of a pot still: a big wide, bulbous base, and attached to it, a slender swan neck. However, you’ll notice that every distillery has its own shape of pot stills. There’s an important reason for that. Some distilleries even go as far as claiming that, when the time has come for replacement, every dent and bump from the old pot still is replicated to a tee in its successor. While this is most likely an exaggeration, and probably only told to further romanticize the idea of Scotch whisky, it does illustrate the importance of the shape of a pot still. Before we go any further, there’s one critical concept of distilling that needs to be understood for the rest of this article make any sense. Reflux is absolutely key to the creation of each distillery’s unique character. But what is it? If a pot still is fired up, the wash inside it slowly evaporates. Theoretically, only ethanol (alcohol) will rise up when its boiling point is reached. In reality, many other compounds also hitch a ride—flavorful elements such as phenols and esters. The vapor rises, and if all goes without a hitch, it’ll reach the top of the swan neck, go down the lyne arm and condense into new make. The fact is that phenols and esters are heavier than ethanol, and when they hit a cooler part inside the still, they’ll turn back into liquid before reaching the top of the still, to be re-distilled once more. Generally speaking, the more reflux there is, the lighter a spirit will turn out to be. One way of influencing the amount of reflux a spirit experiences, is through the shape of a pot still. Boil bulbs at the base of the neck tend to increase reflux, for example. As do tall swan necks. Therefore, pot stills are always designed with a particular end result in mind. As distillery manager Keith Cruickshank of Benromach once explained, their stills are shaped in such a way, that it leads to a new make spirit that’s both thick and oily, but also quite heavy. Maturation in first-fill bourbon and sherry casks then leads to the old-school Speyside style that Benromach tries to emulate. A famous example of how a pot still influences whisky can be seen at Glenmorangie, which produces a light and accessible style. 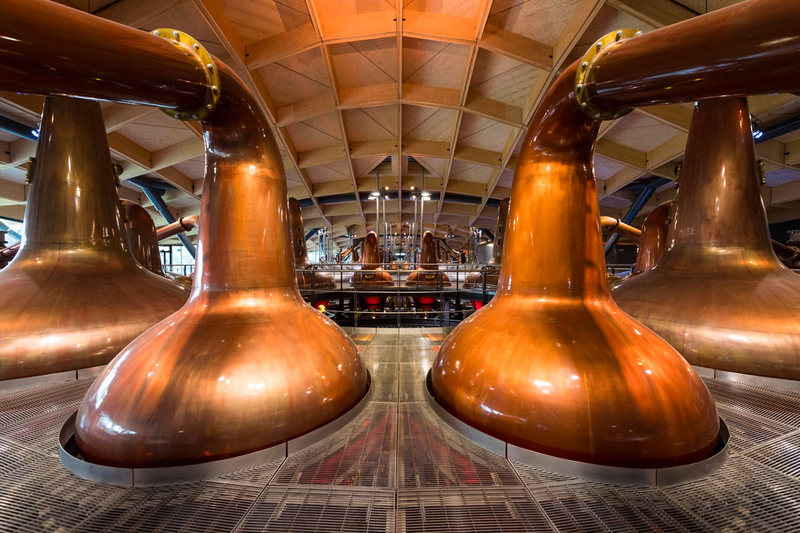 Home to the tallest stills in Scotland, the elegant looking copper pots measure out at 16 feet and 10 inches. This extra height ensures a high amount of reflux. Much of the vapor has to work overtime to reach the top, vaporizing and condensing several times before finally reaching the lyne arm. At the opposite end of the spectrum sits The Macallan, with short and chunky pot stills. The new distillery building, opened in June 2018, houses a grand number of 36 of these small stills. Combined with a very small cut, it results in a heavy, slightly sulfurous new make. Don’t for one second think that’s a bad thing though. The heavy new make combines wonderfully well with European oak ex-sherry casks. When The Macallan reaches its mid-teens, you’d be hard-pressed to find a tastier Speyside whisky. Of course, there are always exceptions to the rules. Principally because there are more ways to impact reflux, such as with the charge (amount of wash) of the still, with the condensers, or with the speed of the distillation. Just never discount the importance of the look of a pot still. It’s not just for aesthetics. Shape is crucial.